Planning a corporate meeting, sales retreat, awards banquet, community event, party, baby shower, conference, or seminar? Want to create your own package? Whether you would like to entertain or educate, The Salvation Army Kroc Center’s expert staff will work to meet your needs and provide a truly memorable and cost-effective event. Events at the Center range from informal club gatherings to elegant evening affairs, birthday parties for kids to a 50th anniversary. We’ve had performing arts groups, businesses, non-profit groups, and families all enjoy the benefits of planning their event with the Kroc Center. We are known for our excellent service and our efforts to accommodate event requests. Call 228-207-2761 to begin the process of reserving your event. You may provide your event details over the phone or schedule an appointment to discuss your event with the Event Coordinator. Your event is reserved when you turn in your deposit (50% of the venue fee) and contract. All events must be completely booked two weeks prior to the event date. 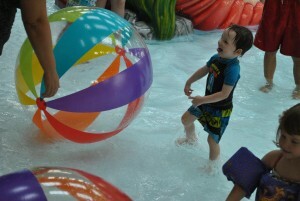 With Indoor Party Rooms, Indoor Pool, Gymnasium, Inflatable Park, and opportunities galore, The Salvation Army Kroc Center will be THE destination for everyone’s birthday! Our Party Rooms are perfect for a child’s special occasion. Bring your friends for the special day and create a day to remember. 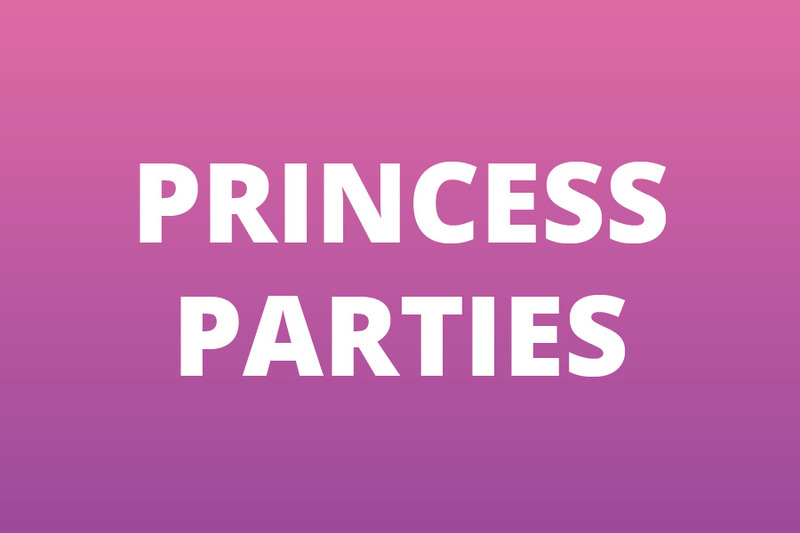 Parties must be booked through a Member Service Representative. Call Member Services at 228-207-1218. We provide basic paper plates, cups, napkins, and utensils. Extra party guest above the package limit is allotted for an additional fee. Two hours of space to include (1) party room and Aquatics Center. Two hours of space to include (2) party rooms and Aquatics Center. Two hours of space in party room fit for a princess. You and your guests must exit the Kroc center after the two hours or purchase a day pass. Make-it-yourself bracelets for all attendees. 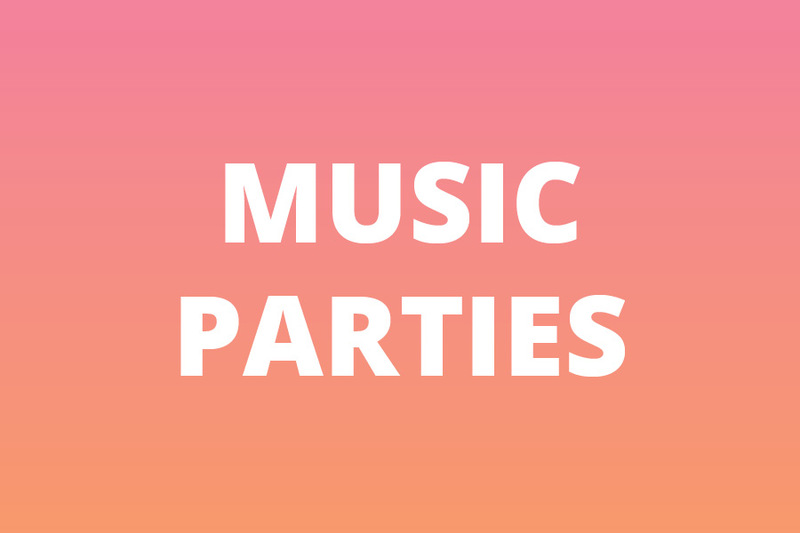 Two hours of party time which will include an hour of Instructor-led music fun. Each child creates their own instrument to take home. Two hours of party time which will include an hour of Instructor led music fun. Need a place to host your meeting, conference, employee training seminar, team building event, or even a convention? Look no further than the Kroc Center! The Kroc Center can serve you well in all your business needs. Our contemporary and spacious facility boasts top of the line audio visual equipment, wifi, and whiteboards. Whether your event requires a small meeting room, multipurpose room, or the Fellowship Hall, we’ll make sure the room is set to your specifications. Whether you need a simple classroom seating, booths or banquet-style dining for 125, our event and catering departments can accommodate your needs. Business luncheons are easy with our menu of freshly prepared lunches and the services of our Event Coordinator. All you need for a successful meeting comes to you at an unbelievably affordable price. The holidays will we be here before you know it! For your company’s Christmas or Thanksgiving get together, are you looking for something a little different from the usual potluck in the office? Let us do all the cooking for you! We’ll throw your hard-working team a stress-free upscale feast they won’t soon forget. All Packages include two-hour room rental, linens (additional fee), audio/visual equipment, china, glassware, silverware, set up, clean up, and buffet servers. Celebrate with sliced turkey or spiral ham (choose one) served with southern cornbread dressing. pies and coffee. Beverages are sweet and unsweetened tea. $22.50 per person with 30 to 50 guests, $21.50 per person with 51-75 guests, $20.00 per person with 76 –110 guests. sauce, a fresh fruit display and a dessert platter of Christmas cookies and brownies. $14 per person with 30 to 50 guests, $13 per person with 51-75 guests, $11.50 per person with 76-110 guests. Not a morning person? No problem! Let us take care of the details to start your day off right. Ask us about kid-friendly options! There are many community events that can be held at The Salvation Army Kroc Center. Whether you are looking for a place to hold a football game, basketball tournament, theater performance, field trip for your class, or rent a classroom for weekly club meeting, we have the perfect space available for you. Our beautiful gymnasium, top quality running track, aerobics studio and The Salvation Army Yankie Football Stadium are available to rent for team practices, games, tournaments, and tryouts. We have hosted a variety of sporting events for schools, churches, and clubs including basketball tryouts, rugby games, lacrosse tournaments, and practices for pee wee football teams. Don’t hesitate to experience all that this one-of-a-kind venue has to offer! If you are looking to bring a group of 50+ children or adults to enjoy our Aquatics Center, a Fun Night may just be the rental for you! 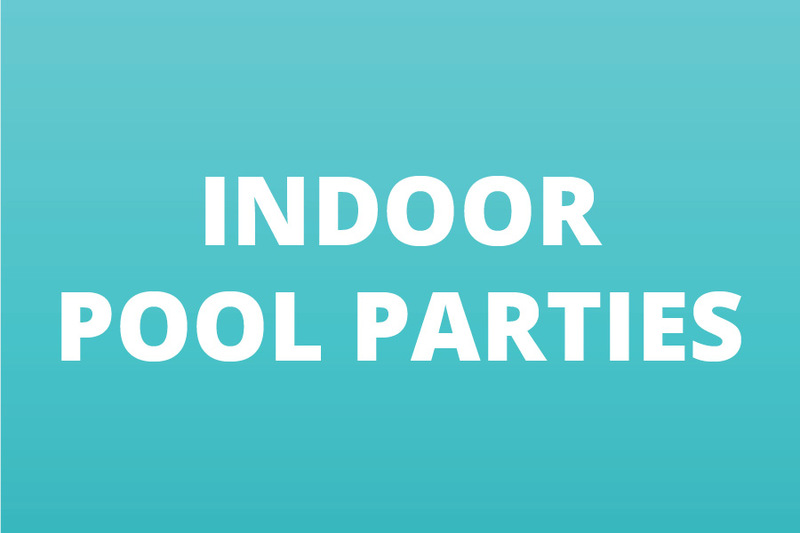 Fun Nights are after-hours rentals of the Aquatics Center, Fellowship Hall, and/or basketball court. Our catering department provides a dinner of pizza and sodas or hot dogs and hamburgers (adult food choices also available). This Fun Night program allows large groups to enjoy the pool in the evenings after our members have enjoyed the facility during business hours. Health fairs and graduation programs are just two of the many community-based events that we are proud to host here at The Salvation Army Kroc Center. We look forward to hosting your annual fair or weekly club meeting. Ask about non-profit discounts if your group is a 501c3 certified non-profit! The Worship Theatre and Fellowship Hall at The Salvation Army Kroc Center serves as a chapel and a performing arts center. With flexible, moveable seating, these spaces have the ability to host performance events, music concerts, and theater productions with comfortable seats for up to 150 people. All the elements necessary for creating great productions include adjacent dressing rooms, a large stage, a stage right and stage left wing, theater lighting, and state-of-the-art digital audio/visual equipment. This venue, like the rest of the Center, is designed to make your production memorable. We have an ideal space for your shower, whether you plan for a handful of close friends or a group of one hundred. Baby showers are beautiful occasions in our window-filled multipurpose room. For larger groups, try our spacious Fellowship hall. Create a specialized menu with our Event and Food Coordinators. Choose the Kroc Center as your venue for retirement parties, anniversary celebrations and more. We provide the food and drinks, all you have to do is party like a Kroc Star! See our general banquet menu click here. Whether you are with a Day Care, Public or Private School, Sports Team or just a group of kids that are ready for a day full of fun and adventure, we are where you want to be! We schedule field trips on Tuesday – Thursday between 10 am-Noon. Field trips, like all events at the Center, require contracts. Field trips any time of the year must be completely booked at least two weeks in advance. Be aware that summer field trip time slots begin to fill up as early as March. 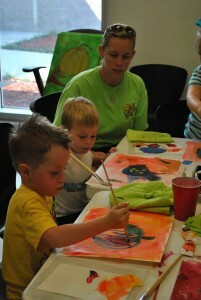 Why not include an art activity in your class, daycare, or camp’s Field Trip to the Kroc Center? Art activities last one hour and packages start at $5 per child. 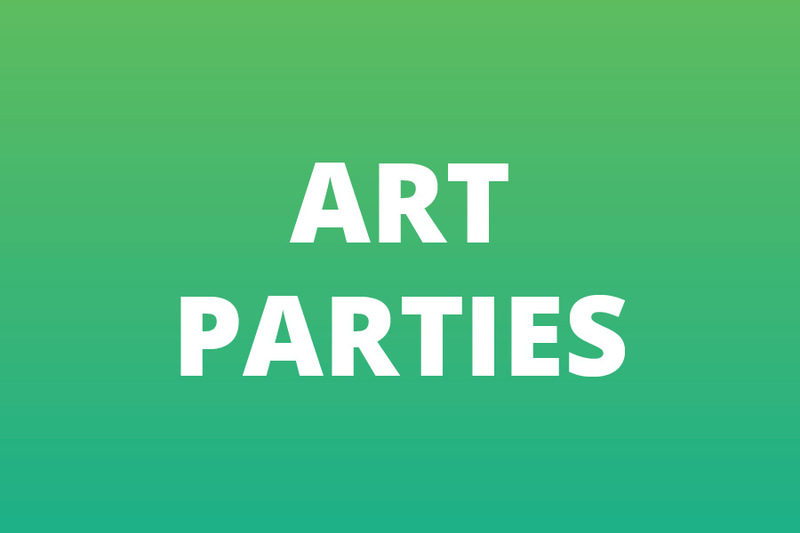 Many groups will pair an art class with swimming, gym, or another activity. 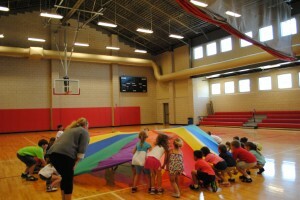 Why not include games in our gym to your field trip schedule? Game time activities last one hour and they are $5 per child. Many groups will pair gym time with swimming, art, or another activity. A whole day of field day fun! Indoor and outdoor activities for students ages 5-12 including the use of the aquatic center, sack races, relay races through an obstacle course, water balloons, hula hooping competitions and more! 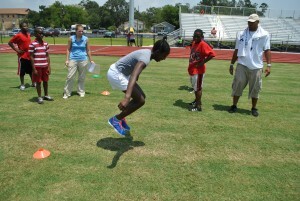 Your kids will have a traditional field day experience while your teachers get to enjoy the fun with their students. For an additional fee, lunch can be provided. Swimming field trips are the most popular field trip at The Salvation Army Kroc Center! If you are planning to bring a group to the Aquatics Center, you will need to book a field trip to ensure space in the pool is reserved for your group. The cost of a swim field trip is $7 per person, including chaperones, teachers, or parents. If a lunch package is selected, lunchtime is Noon to 1 pm. Groups cannot bring lunches for the children to eat at the Center as we do not allow outside food and drinks. Jump Park field trips are the newest activity at the Salvation Army Kroc Center! If you are planning to bring a group, you will need to book a field trip to ensure the jumpers are reserved. The cost of a field trip is $7 per person including chaperones, teachers, or parents. Pepperoni pizza, cheese pizza or a combination of both. Beverage included. – Children must be 48″ tall to use the slide in the pool. This is for their safety. -Field trips are welcome to drop off their bags and outerwear in the locker (locks may be purchased at the front desk or you may bring your own lock) area before proceeding to the pool. -No outside food or beverage is permitted. Lunch can be provided for the children and chaperones for a fee with two weeks’ notice. -Time slots for field trips are fixed. Late arrival does not result in the pool time being extended. -The full list of aquatics center and gymnasium rules also apply to field trips. Day pass purchases are different from field trip reservations. Adults purchasing day passes for their children or a group of children to come and swim are not admitted free into the Kroc Center. They must also purchase a day pass to enter the center.